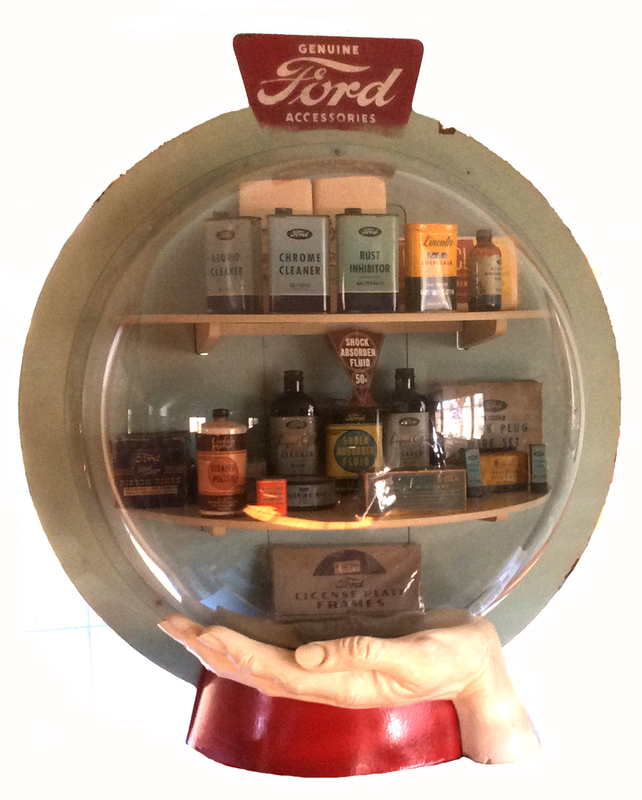 Counter and showroom displays used during the 20th Century at Ford, Lincoln and Mercury automotive dealerships and service centers across North America. 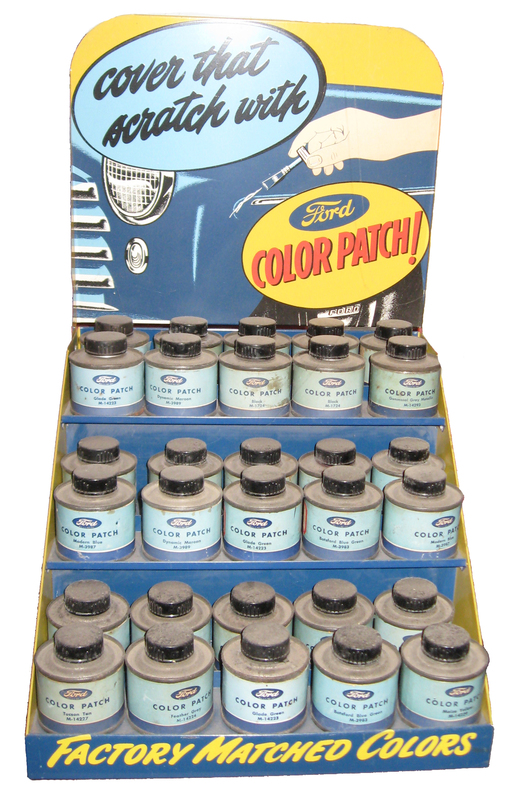 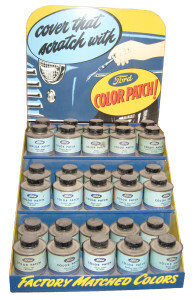 (Above) Ford Color Patch display complete with matching touch-up paint cans. 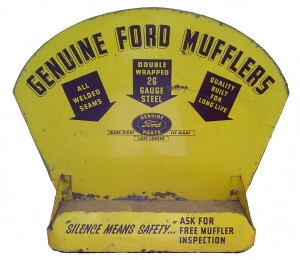 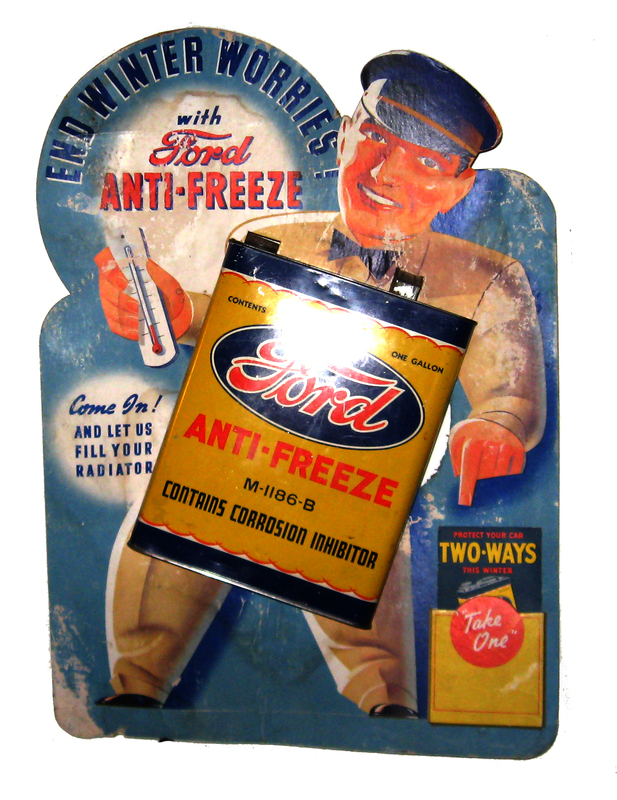 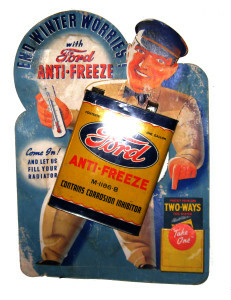 (Above) Large Genuine Ford Accessories visible display case.